A 360,000-acre playground in Chilean Patagonia. 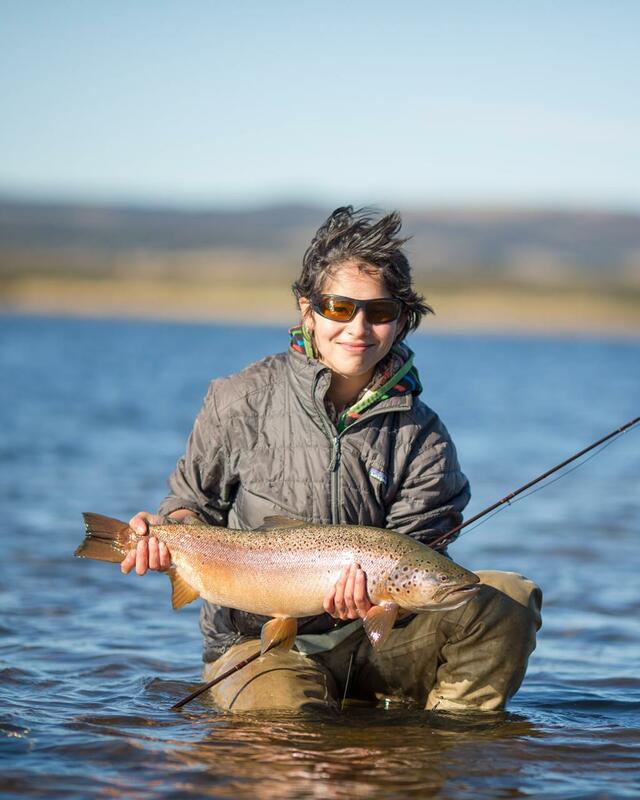 Estancia de los Rios, located just outside the fly fishing mecca of Coyhaique, is a dream come true for trout fishermen in pursuit of quality dry fly fishing for wild brown trout. 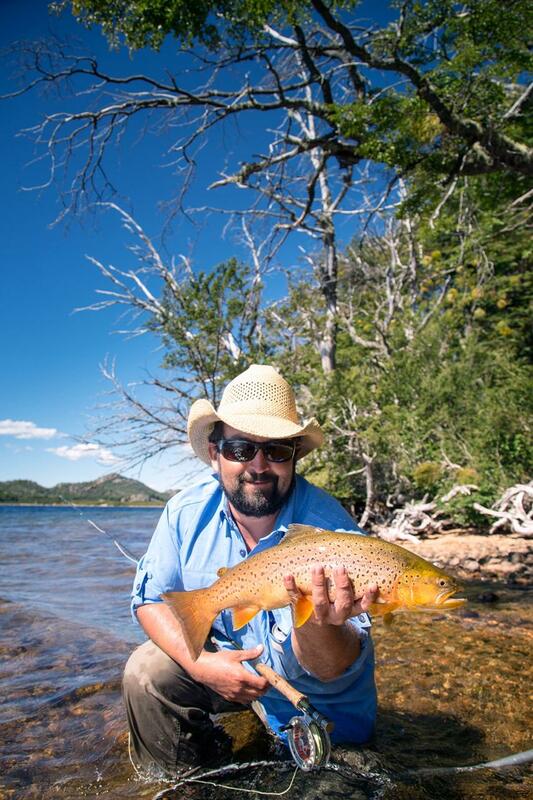 Located on a 360,000 acre ranch, Estancia de los Rios offers over 60 miles of private rivers, several spring creeks and multiple lakes that are exclusively fished by a small group of guests each week. 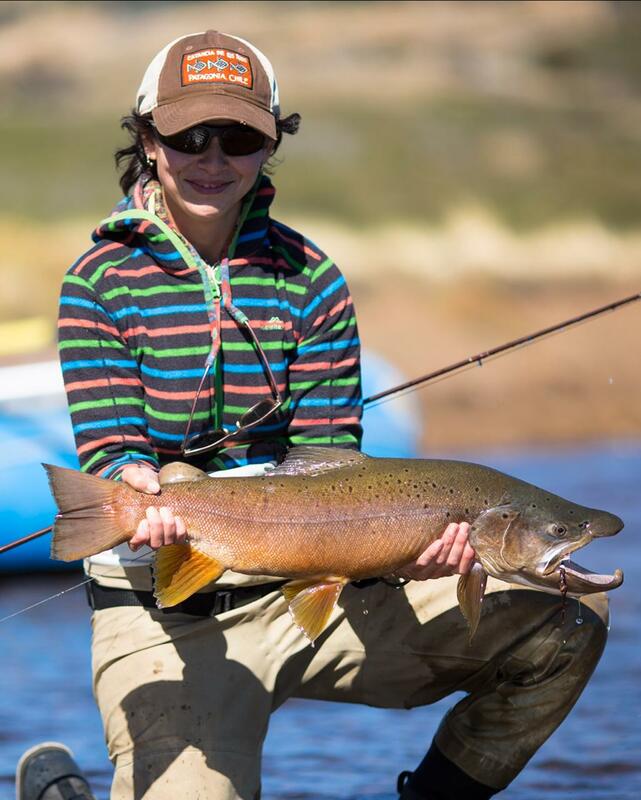 This is an angler’s paradise with pristine scenery, large and eager brown trout, an authentic and very comfortable lodge and a professional staff who tie the entire experience together. With many miles of trails, several rivers, lakes and mountain valleys on the ranch, this lodge provides the rare opportunity for diverse outdoor activities in one gorgeous private location; world-class dry fly fishing, horseback riding, hiking and trekking, mountain biking, bird watching, wildlife observation and nature photography. Fishing is as good as I have ever been lucky enough to participate in. Translucent water, some big fish, wonderful dry fly spot. Best fishing lodge I’ve ever stayed in – by some distance. 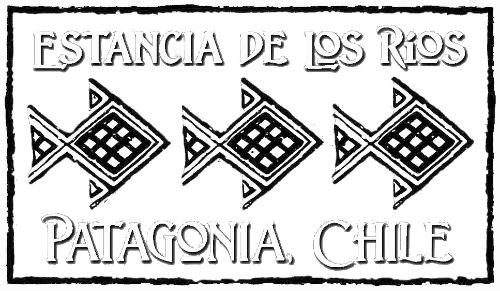 Located in the heart of Chilean Patagonia north of Coyhaique. 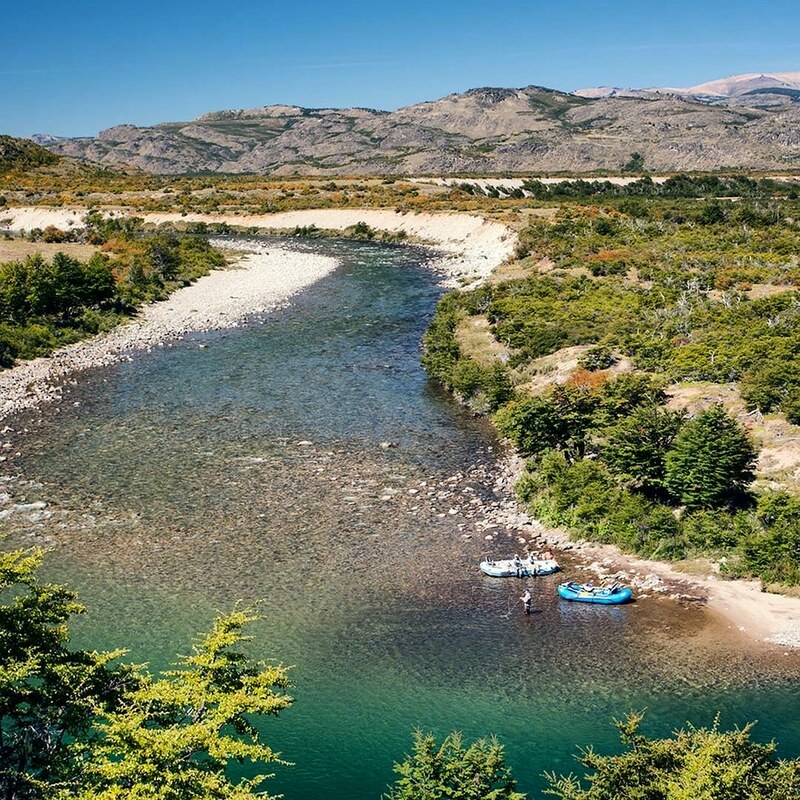 The lodge is located just a few miles from the Argentine-Chile border which allows combination with other first rate fly fishing lodges in both Argentina and Chile. Saturday: Arrival. From Santiago, Chile, board the first available flight to Coyhaique (Balmaceda airport). 2:20 h direct flight or a 2:50 h flight with a 30 min. stopover in Puerto Montt. 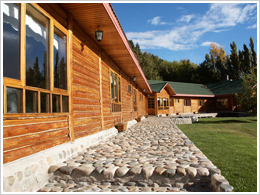 Upon arrival to the Balmaceda airport, one of the lodge´s representatives will be waiting for you and drive you to the lodge. This is a beautiful 4:30 hr. drive north along the Austral road, Chile’s most scenic route. 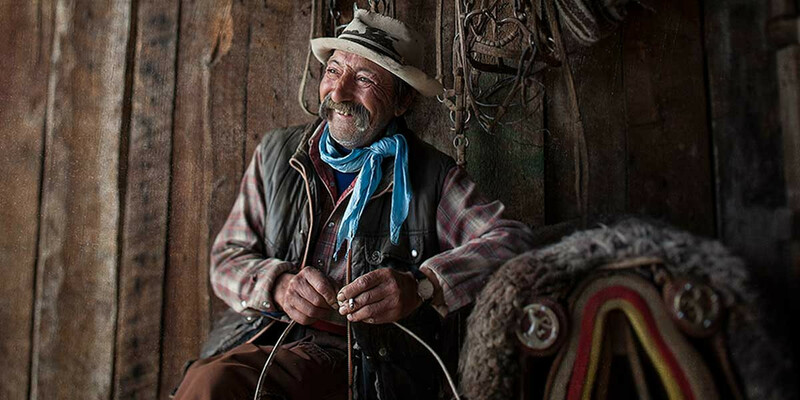 You will drive through typical villages and Andean valleys where you will see a glimpse of the lifestyle of the inhabitants of Patagonia. Saturday: Departure. 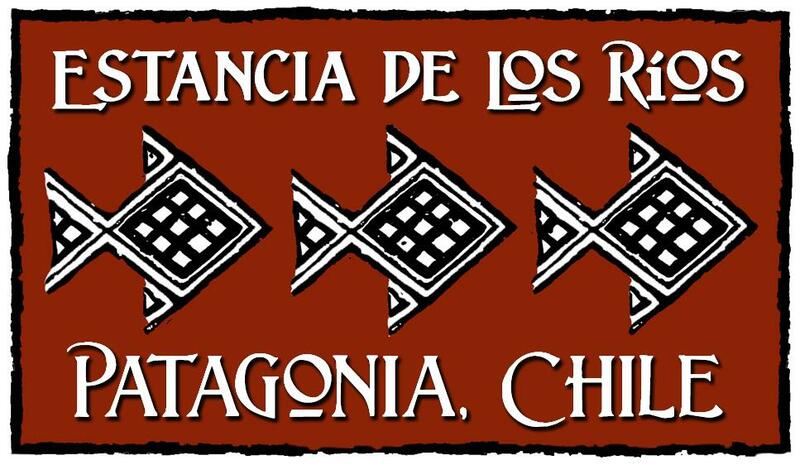 After breakfast, a lodge vehicle will drive you back to the Coyhaique airport (Balmaceda) arriving on time for your flight to Santiago and beyond. 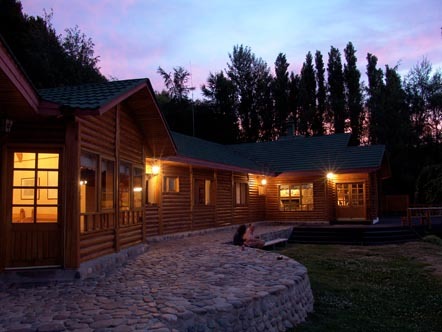 Estancia de los Rios lodge is tucked away on a massive 360,000-acre private ranch close to the Argentine-Chile border. 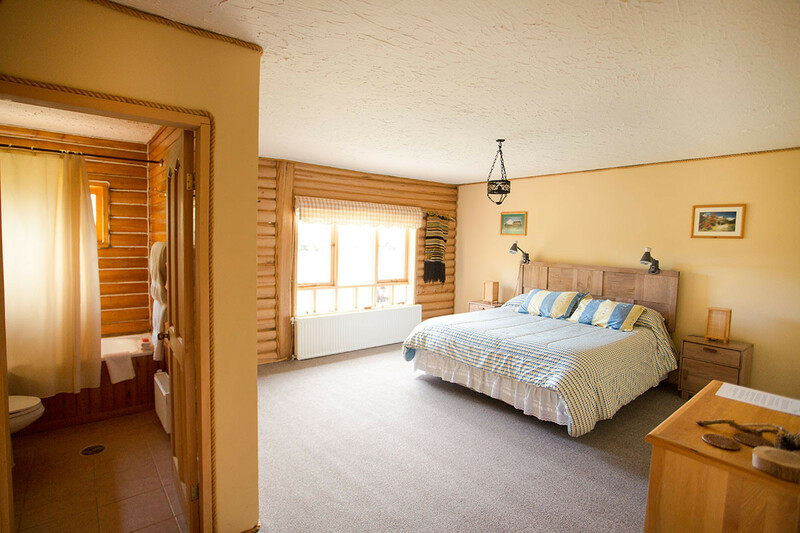 The timber lodge sits on a secluded spot surrounded by beautiful views and is in the ideal location to access the variety of private waters available to its guests. 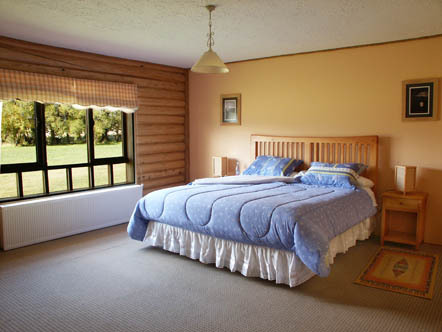 The comfortable lodge has the capacity for twelve guests in six, double occupancy rooms, each with mountain views, and private bathrooms. The mudroom, dining room, lounge area, and fly tying room are the common areas where guests gather for great conversation, meals and laughter. 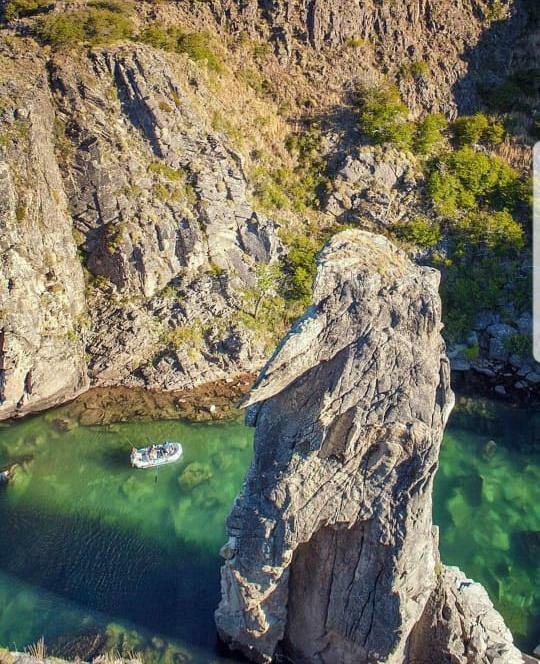 Days are generally spent participating in outdoor activities with picnic lunches and ending at the lodge with a gourmet Chilean dinner, served with a selection of local wines, surrounded by new friends and sharing daily highlights. 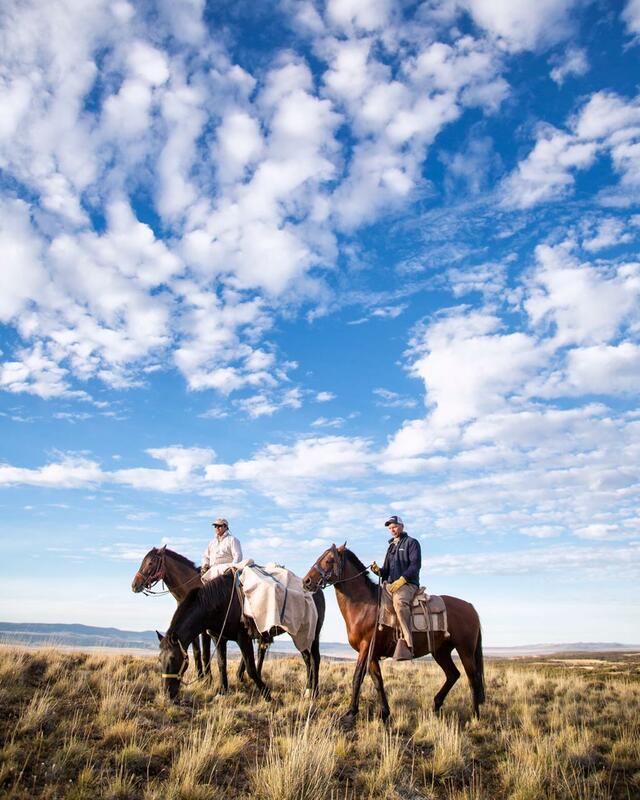 Although remote and tranquil, Estancia pays special attention to all the comforts and services of a first class lodge. Dave Hughes describes the Cisnes as “the perfect trout stream. The challenge of chasing these wild fish is beyond the fishing itself! 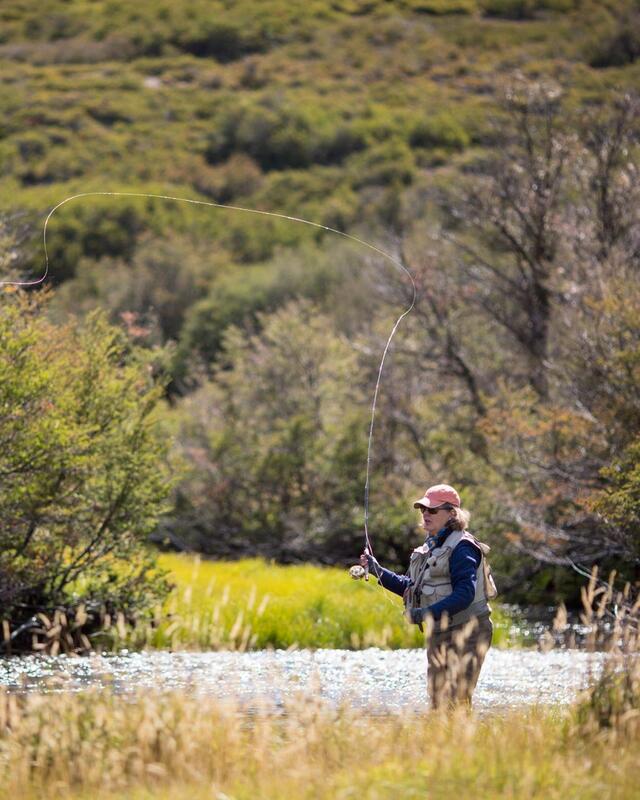 You will enjoy six and a half days of fishing at Estancia de los Rios. Your guide will show you what to look for in order to locate fish. Once you’ve mastered that, you will be amazed at how many fish you will be casting to. 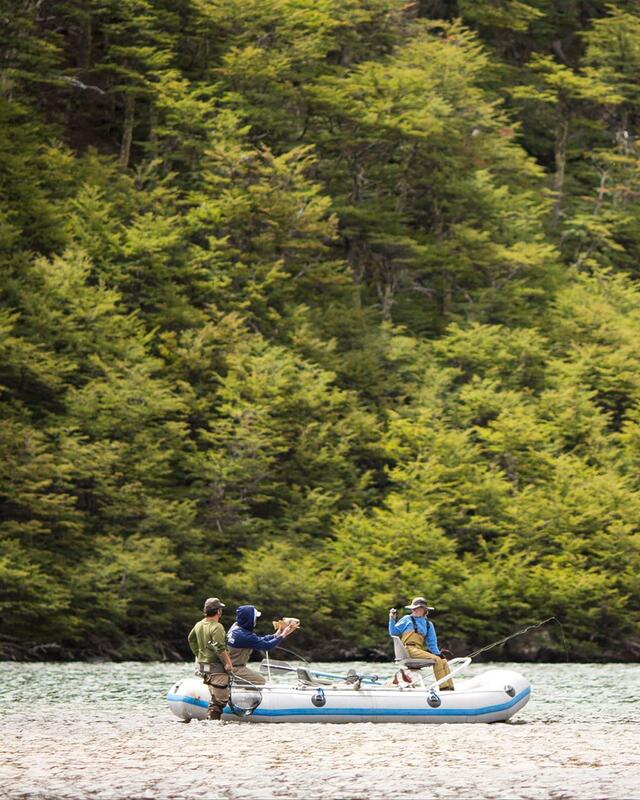 The challenge here is to spot the largest fish within your range. Hatches are excellent and although nymphs and streamers are very effective and fun to use, the main method in this program is dry fly fishing. Miles of fishing in total solitude provide a truly soothing experience in today’s hustle with the exception of the occasional passing gaucho on horseback. There is a wide variety water from spring creeks with large fish for those wanting a technical challenge to stretches of water perfect for the novice, where instant success will build confidence in fishing techniques. Most fishing beats are less than 1 hour from the lodge. A day float trip on the larger rivers combines viewing of spectacular natural beauty with great fishing. 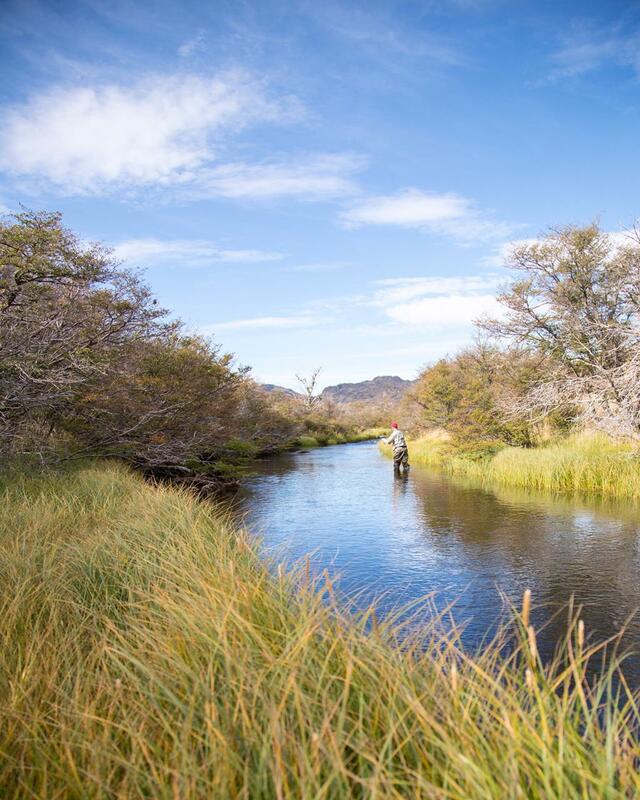 The gravel-bottomed waters within the Estancia make for easy wading. 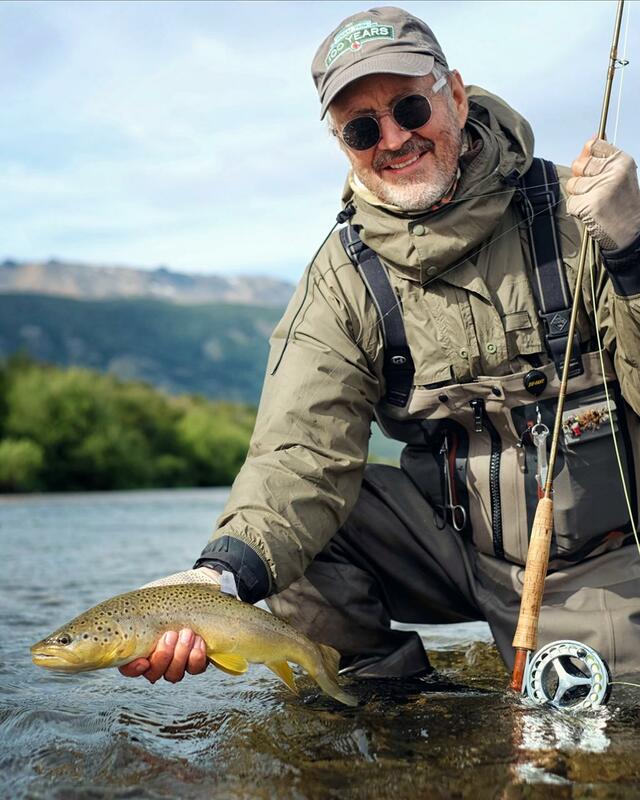 The experienced English-speaking guides not only provide great tips for taking trout but also are knowledgeable of the local history, wildlife and geology of this remarkable land. The streams are loaded with Brown Trout. 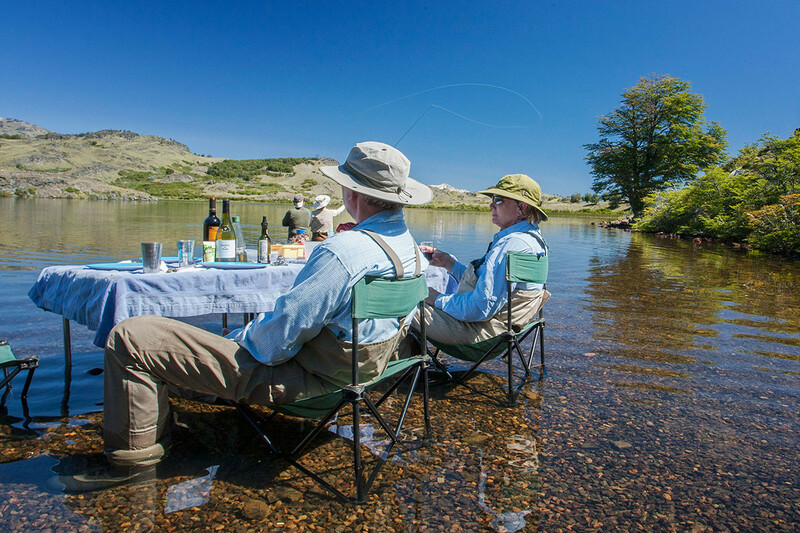 Often guests are wading in shin-deep water casting to pods of rising trout. 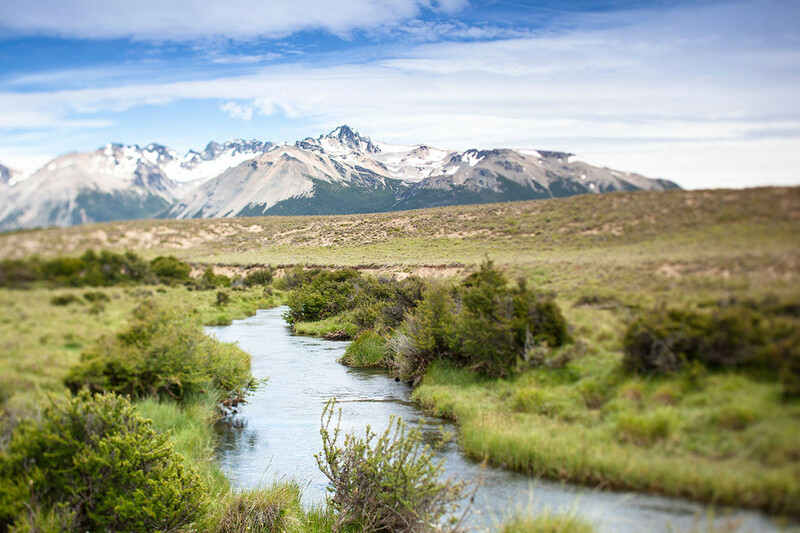 In addition to the Rio Cisnes and other rivers within the ranch, the Estancia has numerous spring creeks and streams (some to yet see a fly). 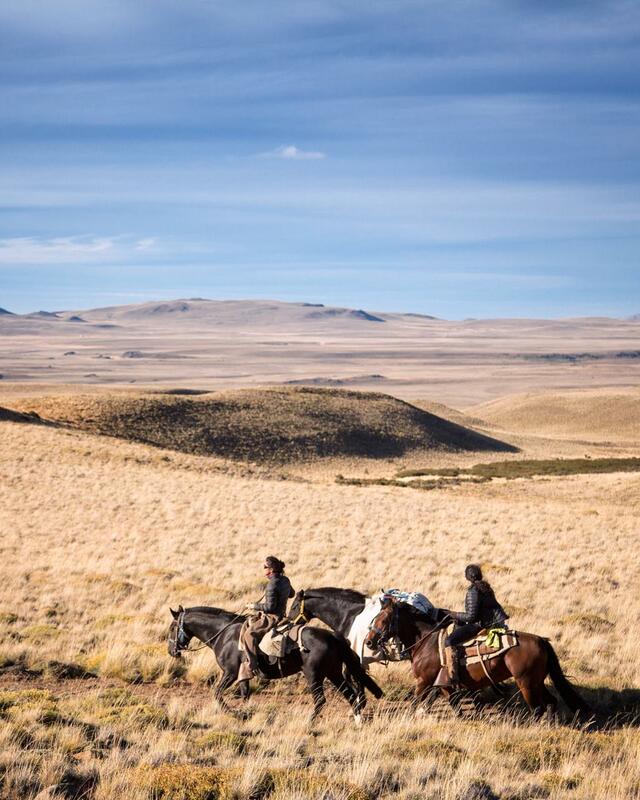 This program offers optional horse trips to remote ranch streams and lakes overnighting at a cozy cabin or mountain campsites. 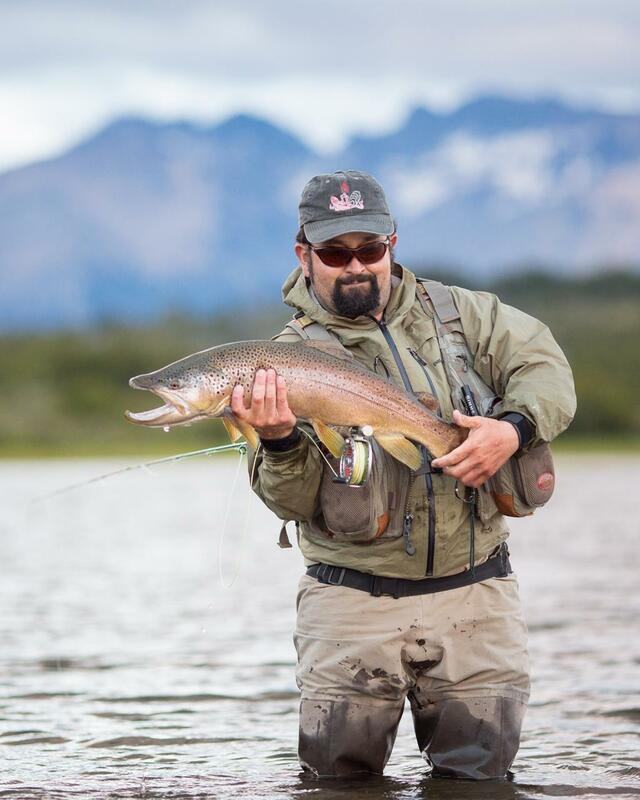 While the idyllic Rio Cisnes is the centerpiece of the fishing program, you owe it to yourself to wade its tributaries and the many spring creeks to experience the incredible fishing diversity found here. 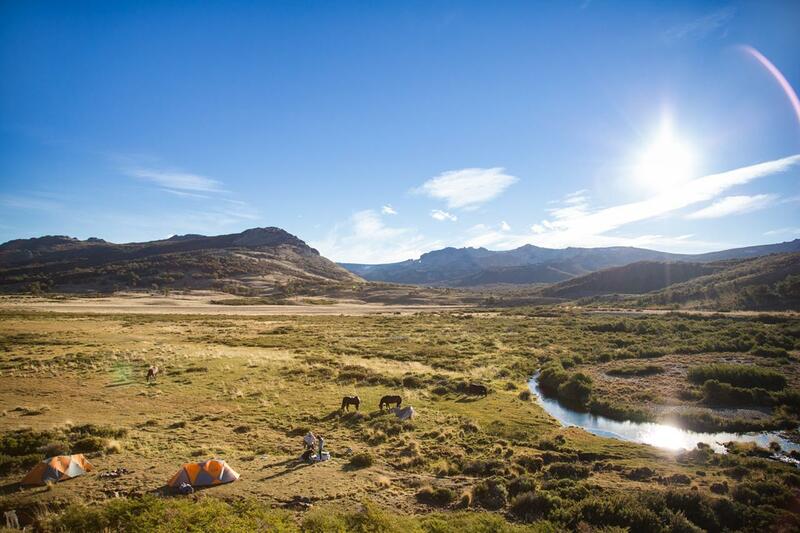 Try going gaucho-ride a horse to the river or to one of the lakes –it’s unforgettable. Gear: Four and 5 wt. fly rods accompanied by a 6 wt. are preferred when fishing at the ranch. Weight forward floating lines and corresponding sinking lines for the heavier rod are ideal. In summer, wet wading is possible. Contact us for first-hand tackle and fly recommendations and a full gear list. Four and 5 wt. 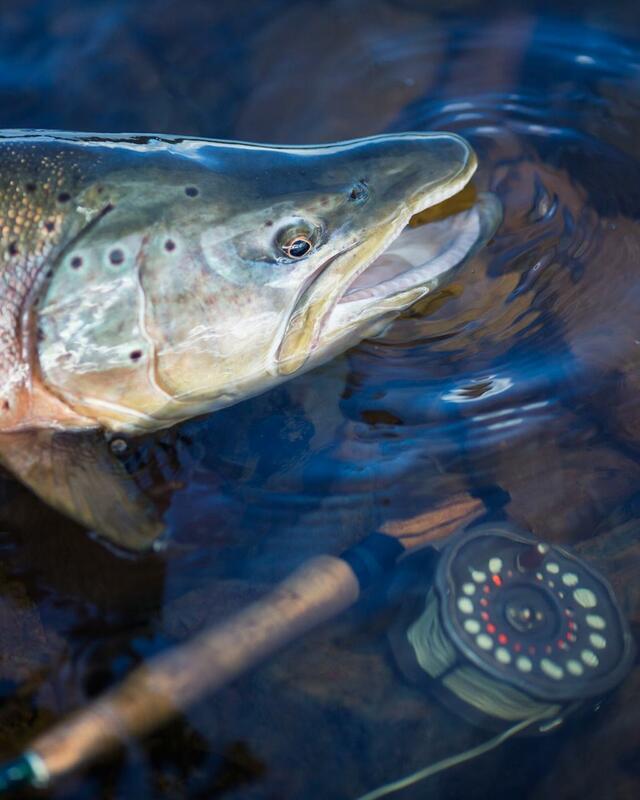 fly rods accompanied by a 6 wt. are preferred when fishing at the ranch. Weight forward floating lines and corresponding sinking lines for the heavier rod are ideal. In summer, wet wading is possible. Contact us for first-hand tackle and fly recommendations and a full gear list.